Canine-DT (formerly Canine Distempaid) ~ Organic herbal aid for distemper dogs. We have moved. In a few seconds you will be taken to our new website. If it does not redirect in 5 seconds, please click Wolf Creek Ranch Organics here. Please bookmark remember to update your bookmark. Treating More Than One Pet? CANINE-DT (aka CANINE DISTEMPAID) ~ is a natural organic herbal supplement to aid in relief of the neurological symptoms of tremors, hard pad, and seizures caused by Canine Distemper. Canine distemper is a highly contagious disease caused by a virus similar to the one that causes measles in people. Canine distemper is a multisystemic viral disease that affects the respiratory, gastrointestinal, and central nervous systems and is often fatal. Infected animals shed canine distemper virus in all body secretions. Inhaling the virus is the primary source of exposure. Half the dogs who become infected with canine distemper virus show mild signs of illness or no signs at all. The overall health of the dog has a lot to do with how ill he becomes.The first signs of distemper appear six to nine days after exposure, and in mild cases go unnoticed. The distemper virus tends to attack brain cells and cells that line the surfaces of the body, including the skin, the eyes, the mucous membranes of the respiratory tract, and the gastrointestinal tract. The disease takes a variety of forms. Secondary infections and complications are common, partly due to the immunosuppressive effects of the virus. The first stage is characterized by a fever spike of up to 103°F to 105°F (39.4°C to 40.5°C). A second fever spike brings loss of appetite, listlessness, and a watery discharge from the eyes and nose; these symptoms are often mistaken as a cold. Within a few days, the dog develops a pronounced dry cough, the eye and nasal discharge becomes thick, yellow, and sticky. Blisters may appear on the abdomen; vomiting and diarrhea are frequent and may cause severe dehydration. During the next one to two weeks, very often the dog seems to be getting better but then relapses; this often coincides with the end of the course of antibiotics. During this period the development of gastrointestinal and respiratory complications due to secondary bacterial invasion. The second stage occurs two to three weeks after the onset of the disease. At this point many dogs develop signs of brain involvement (encephalitis), characterized by brief attacks of slobbering, head shaking, and chewing movements of the jaws (as if the dog were chewing gum). Seizures may occur, the dog runs in circles, falls over, and kicks all four feet wildly; after seizure the dog appears to be confused, shies away from his owner, wanders about aimlessly, and appears to be blind. In cases with brain involvement in which the diagnosis is uncertain, a spinal tap and analysis of cerebrospinal fluid may be of assistance; but this is not always conclusive. Another indication of brain involvement is distemper myoclonus, a condition characterized by rhythmic contractions of muscle groups at up to 60 contractions per minute; the jerking can affect all parts of the body, but is most common in the head. Myoclonus is first seen when the dog is resting or sleeping; later it occurs both day and night. Pain accompanies myoclonus, and the dog whines and cries. If the dog recovers, the jerking will indefinitely but becomes less severe with time. Hard-pad is a form of distemper in which the virus attacks the skin of the feet and nose, producing thick, horny skin on the nose and callus-like pads on the feet. It first appears about 15 days after the onset of the infection. At one time, hard-pad and encephalitis were thought to be separate diseases, but they are now recognized as being caused by different strains of the distemper virus. "Proprietary blend of (Mistletoe 1,3, Tansy 1,3,4, Blue Vervain 1,3) 29 mg"
Shake well before use. Administer orally 2 times daily, as needed. Warning: DO NOT EXCEED RECOMMENDED DOSAGE. Keep out of the reach of children. Do not give Canine-DT to animals that are pregnant, or have pancreas or liver disease. Do not give Canine-DT to cats. As with any product allergic reactions may occur. Stop giving Canine-DT if you see any of the following: Rashes, hives, edema (swelling), diarrhea, or blood in stools. If your pet has a reaction, give charcoal and take to a veterinarian. (Have your vet treat for symptoms.) May cause miscarriage in some animals. The Canine Distemper Virus is inhaled to nearby lymph nodes where it begins to incubate. The infection will spread quickly through the lymphatic tissue and infect all the lymphoid organs within 5 days. By day nine, the virus will have reached the blood system. It then reaches the lining of the respiratory, gastrointestinal, urogenital, and central nervous system where it begins to cause damage. Due to the complexity of the virus, not any one product can make your pet recover. This is a harsh virus and a lot of dedication is going to be needed. Canine Distempaid (aka Canine Distempaid) - Administer 2 - 4 times daily. Administer during early stages and if exposed. Derma NERV - Administer 3 times daily. Derma NERV can also be administered when symptoms first appear (early stages) and if exposed. Derma NERV is an important part of recovery due to the fact that the virus attacks the nervous system. Vibactra Plus - Has Antioxidants which are very important for an illness. Vibactra Plus is an all-natural antibiotic for viral, bacterial and microscopic parasitical infections. It can be given with a traditional antibiotic. Keep in mind that Distemper is a virus. Vibactra Plus can be used when symptoms first appear and if your pet has been exposed. Administer 4 times daily. Life Cell Support - Has Antioxidants which are very important for an illness. Administer as soon as symptoms begin (early stages). This can be given if your pet has been exposed. Administer 4 times daily. Vitamin C (Tablet) - (750 to 1000 mg each dose orally). Broken up into 2 hour waking intervals. Natural B Complex - once daily (10 to 50 mg). (Used as a protein source). Coconut milk - Great for hydration & viral infections if you cannot get hold of Vibactra Plus. Vibactra Plus will help protect your puppy from other infections such as Coccidia and Giardia. They can become a problem if the puppy has it when Distemper strikes as it affects a compromised immune system. See hydration chart below. Vintesta - 4 times a day while the dog is coughing. Add 1 Tbsp for every additional 10 lbs. The initial state of health of the animal and the degree of immunity acquired from the mother (in the case of puppies) seem to be important factors in the severity of individual cases. If recovery is not easy or complete or leaves the animal in a weakened condition, the following measures should help. If recovery is not easy or complete or leaves the animal in a weakened condition, the following measures should help. Bring the water to a boil. Add oats, salt and molasses. Let sit for 20 minutes then strain off the oats. Use this recipe in place of Pedialyte; administer every 4 hours. 10 lbs of body weight over 50 lbs. As with any gastro-intestinal disease, first foods should be bland and easy to digest. Start slowly and increase food dose 1 hour at a time. Below is a beef stew recipe from Dr. Pitcarnes Complete Guide to Natural Health for Dogs and Cats. As with any gastro-intestinal disease, first foods should be bland and easy to digest. Start slowly and increase food dose 1 hour at a time. Cook beef and drain off excess fat. Add remaining ingredients and enough water to cover the meat and vegetables. If the animal is left with a weakened digestive system, residual diarrhea or chest complications, in addition to Parvaid, administer fresh grated raw garlic 3x/day. Use 1/2 small clove for small dogs or puppies, 1/2 large clove for medium dogs, and 1 whole clove for large ones. Add the grated garlic to the food or mix it with honey and flour to make pills. Usually an after-effect of the distemper virus infection, chorea is a condition in which some muscle in the body (usually a leg, hip, or shoulder) twitches every few seconds, sometimes even during sleep. It results from damage to part of the spinal cord or brain. Most pets with chorea are put to sleep because it is not considered curable; however, once in a rare while a spontaneous recovery occurs. Alternative therapy may be worth a try, as it will improve the odds. Derma NERV may also help as the nerves may have been affected. 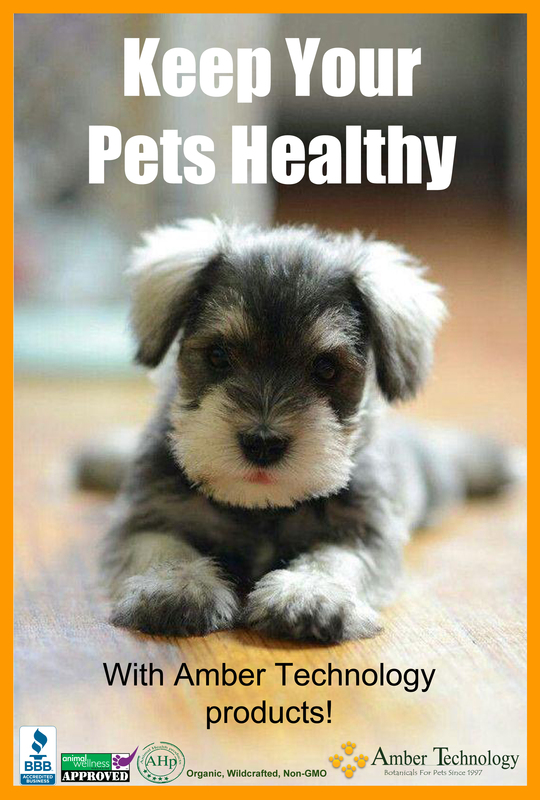 AMBER GLASS BOTTLES & SYRINGES ~ If you have more than one pet that you are treating, you might want to consider purchasing one or more amber glass 1/2 oz., 1 oz., or 4 oz. dropper bottles, so you can split up the tincture into a smaller bottle. That way there is less chance of product contamination. In addition, when treating more than one pet, it may be necessary to assure sterile administration without carry over from pet to pet. This is very important when using Paxxin to treat some pups and using as a preventative for others. The best way to assure this is to use the dropper only to transfer product to an individual sterile oral syringe, using a different syringe for each pet. (This method will also reduce the chances of product contamination.) Those syringes should be sterilized after each use. Each pet should have its own syringe that is not shared with another pet. The use of a syringe containing measured drops from the dropper will also remove the risk of the animal biting the glass dropper. SYRINGES ~ these are luer slip syringes without needles that are excellent for administering measured amounts of Paxxin, CS, tinctures, etc. Reinforced tip, large finger grips, smooth draw and easy-to-read graduations. Rubber plunger with double contact for a positive seal and effortless injection. FDA approved and autoclavable. If purchasing for use with Paxxin (aka Parvaid), syringe size needed is based on the weight of the puppy. We suggest two syringes, one for oral doses and one for enema doses (if not being given Sub Q fluids or on IV's, enemas are or may be necessary to prevent dehydration). Make sure to mark the enema syringe clearly, as you never want to accidentally use an enema syringe for an oral dose, even after it's been washed, as you can reinfect a puppy with parvo. Puppies/kittens weighing under 3 pounds need 5 to 6 ml syringes. Animals weighing 3-10 pounds need 12 ml syringes. Puppies weighing 11-20 pounds need 20 ml syringes. Puppies weighing 21-40 pounds need 50 ml syringes. Puppies 41-50 pounds need 60 ml syringes. AMBER GLASS BOTTLES ~ These are terrific for storing dried herbs, tinctures, colloidal silver, etc. All are boston rounds and have black plastic phenolic lids, unless noted. The misters are fabulous and deliver a very light and delicate mist. Excellent for misting the face or for animals who are shy of sprayers. The cute little 1/2 oz. droppers are perfect for splitting 1 oz. tincture bottles into two separate bottles. To see photos of the Amber Glass bottles click here. 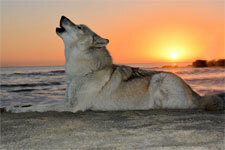 To order Syringes or Amber Glass Bottles please visit our new site: Wolf Creek Ranch Organics.